In an interview with APTN National News, Pelly said that’s where her “horrifying” treatment at the hands of the RCMP began that started with being stripped of her underwear. Pelly said she explained to the police that she was having her period and bleeding profusely at the time. She told APTN that a female officer stripped her of her underwear anyway, leaving her locked in her cell in pants and a see-through tank top, bleeding through her clothes. “The man wasn’t even looking at my eyes when he was talking to me,” said said. “He was just looking at my chest” said Pelly fighting back tears. According to RCMP records, Pelly was locked in her cell for nearly 15 hours and “miscommunication” resulted in her not having access to water for her entire stay. Pelly’s lawyer Tom Campbell said he received the police video taken the next morning. When Campbell contacted the RCMP, Pelly was sent a letter of apology explaining that detainees are stripped of underwear to prevent them from self-harm and from damaging cells. The letter went on to explain that the water was turned off so she couldn’t destroy any evidence that may have been on or in her body. The RCMP acknowledged miscommunication on their behalf, which left Pelly without water for a total of 14 hours, agreeing that was unacceptable. 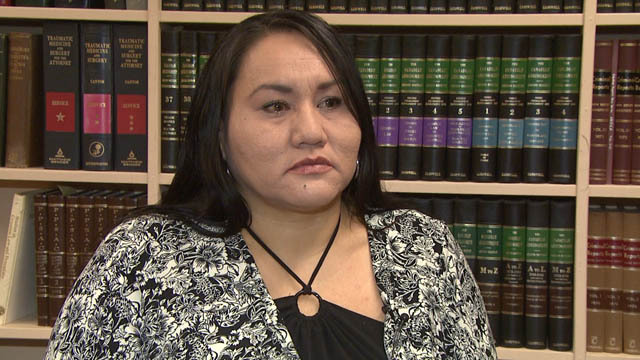 Pelly did not receive the officers resignation but she did receive an out-of-court, undisclosed settlement from the RCMP for her treatment within the Yorkton RCMP holding cells. Pelly said it’s a small victory as her trust and faith in policing has completely changed. Pelly is glad to put the whole ordeal behind her and pleased that the police acknowledged her terrible treatment and hopes her fight will help others who faced similar experiences to come forward and bring change to the RCMP. Posted on July 28, 2015, in State Security Forces and tagged Ethel Pelly, police abuse, RCMP, RCMP and Natives, Royal Canadian Mounted Police. Bookmark the permalink. 2 Comments. This is utterly disgusting. It was quite obvious she was on her period and needed her underclothes to wear a pad. And not having any water is especially dangerous because a woman loses a lot of water with the beginning of her period. She could have become seriously dehydrated. They wanted to humiliate her in the most egregious way. For one, being Native and for two, being a woman.